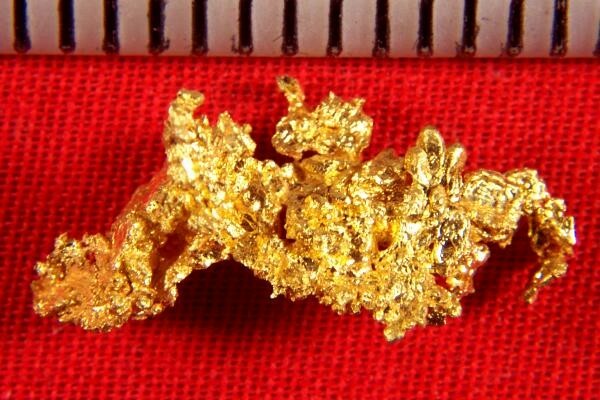 Look at the amazing dendritic leaf type interlaced gold crystals on this stunning crystalline gold specimen from the Ace of Diamonds Mine. The Ace of Diamonds Mine in Kittitas County in Liberty, Washington, is famous for it's intricate gold nugget specimens, and for the purity and brilliant color of the gold. They are extremely rare and hard to find. 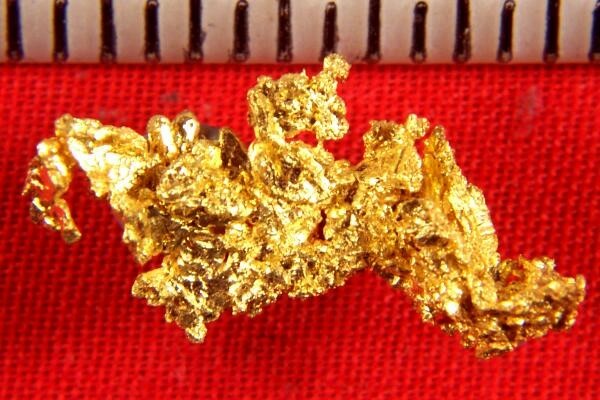 This gorgeous crystallized gold nugget is 3/4" long and weighs 26.0 Grains (1.69 Gram).